This cute little candy holder would make a great wedding favor. It holds a Hershey Nugget inside. 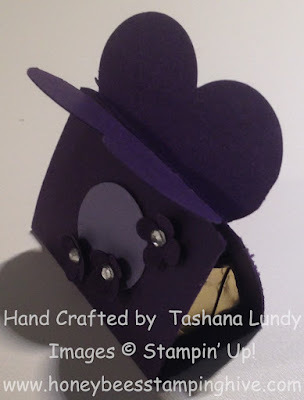 I think I seen this idea at Simply Simple Stamping. This project was definitely simple. From the butterfly closure to the tiny flowers on the front...everything about it is just adorable.